Although my husband and I have frequently quoted the title to this old film while on long vacations, I don't recall ever having actually seen this comedy before last week. I know it's been on TV an infinite number of times since its release in 1969, but I finally queued it up on Netflix for the family. If It's Tuesday, This Must Be Belgium was, well, a little silly and definitely dated, but you can't beat it for European scenery. A group of mostly naïve travelers from the United States embark on a bus tour through seven countries in 18 days with Ian McShane as their womanizing tour guide. Suzanne Pleshette, as one of the tourists, becomes his love interest and the romantic story line is relatively entertaining, mostly because they're both such talented actors. The silliness is in the adventures and misadventures of the other characters, like the kleptomaniac and the couple who is separated when the wife boards the wrong tour bus. Old movies move at a slower pace than today's films, which is an advantage when the scenery is terrific and you actually want to take it in. McShane and Pleshette's romantic gondola ride through the quiet canals of Venice is prolonged and scenic enough to make you sigh, and the Rhine Valley river and castle scenes are stunning as well. 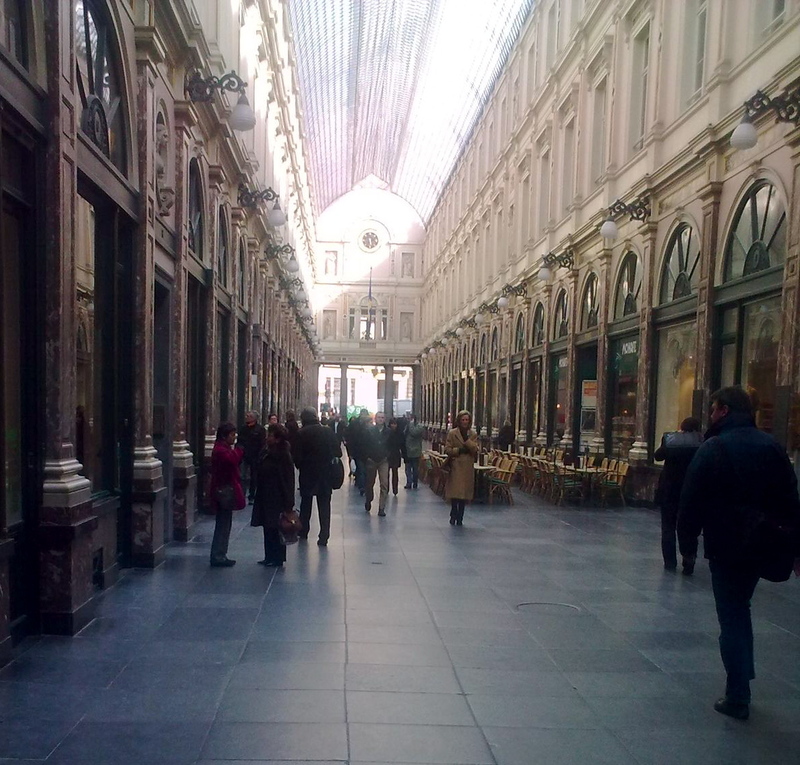 The tour begins in London, and the bus travels through the Netherlands, Belgium, Germany, and Italy. 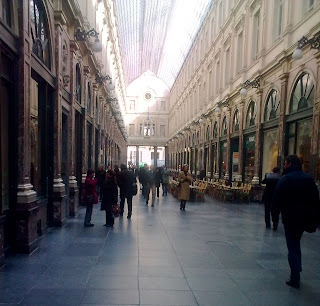 I really enjoyed the scene where Pleshette is shopping for lace in Brussels, because I'm pretty sure she's in the Saint-Hubertus Royal Gallery, a truly grand shopping arcade in Brussels which I love to visit. Whether or not younger children will sit through this old classic film for family movie night depends on the child(ren) of course, but it's worth a look if you plan on visiting Europe soon. Watch the trailer here to check it out and see for yourself. I've said this line myself...and have never seen the movie. It's on the Netflix list now!